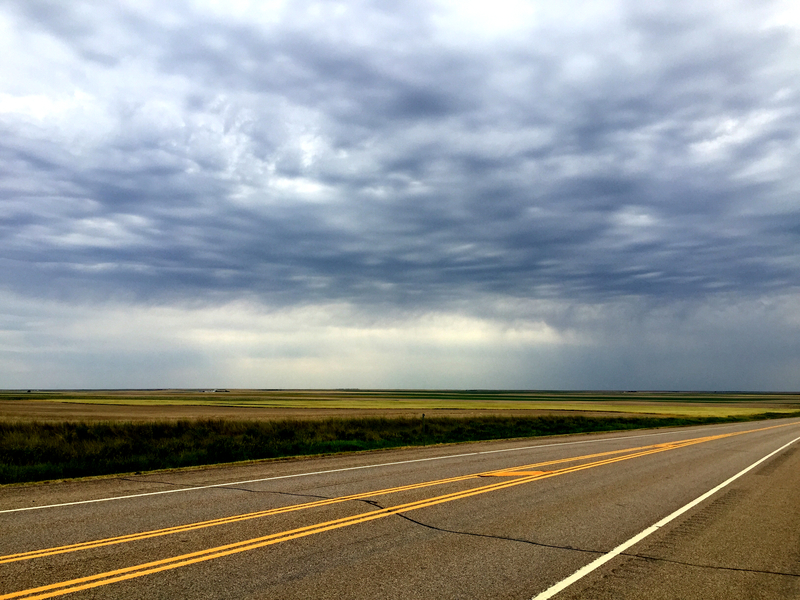 Ride the USA-Days 35-36 | reDeploying! I left Fargo with a 12 mph northwest wind in my face. At times I had to lean into it to keep the bike from drifting into another lane. It wasn’t quite as bad as the 22-25 mph headwind when I left Liverpool, NY. That wind had some nasty gusts. One pushed me 4 feet to the left. Another, after I turned to the north, seemed to hit only my head. It was like a sucker punch from a large, invisible man, knocking my head sharply to the right. Both headwinds cut my gas mileage by about 25%. 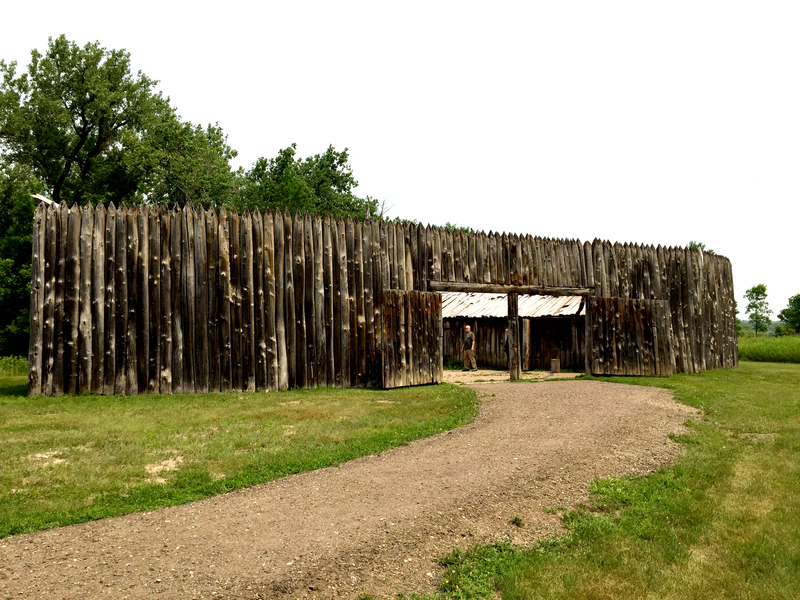 I came across Fort Mandan and the Lewis & Clark Interpretive Center near Washburn. The fort one tours is a 99% replica of the original fort and 10 miles downriver from the original site. 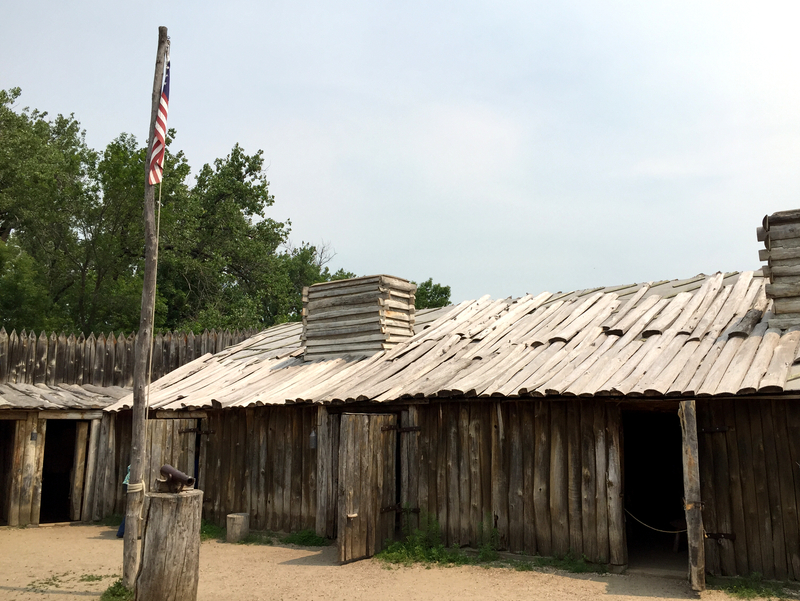 Lewis & Clark, on a military mission to find a route to the Pacific, built the fort in 1804. The interpretive center was low-tech but informative. The tour was quick but interesting. I met Glen in the parking lot. He hails from Bedford, TX, near Dallas-Ft Worth, and was somewhat intrigued by my Harley. He claimed he’d never ridden a “motorsicle,” as he pronounced it. But he had friends who rode them and found them to be quite a pleasure. 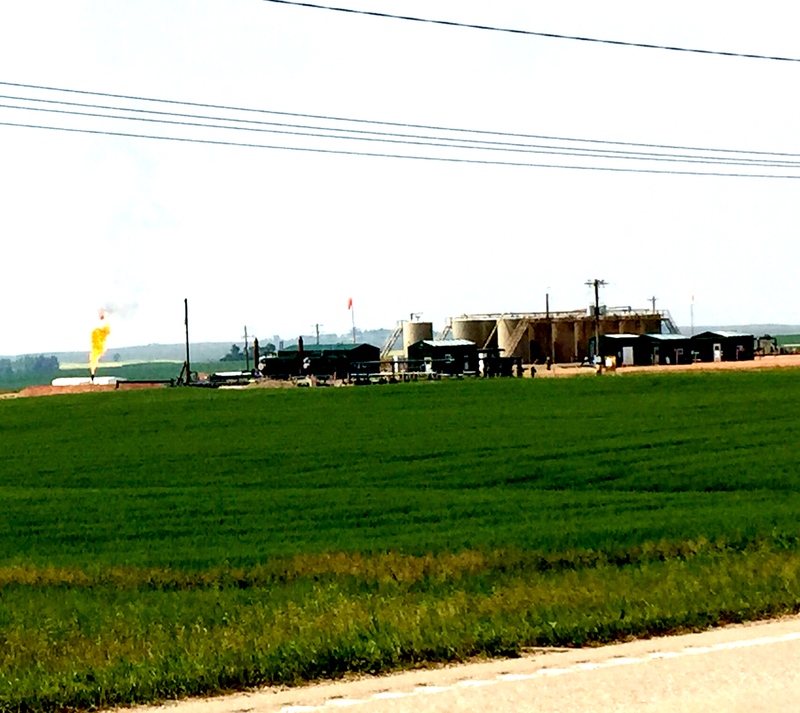 I headed on towards Williston. It was Sunday, so the roads were clear of traffic and it was wonderfully quiet. I almost stopped to take a picture of the landscape when then things got crazy—after passing Raub and about half way between a sweeping turn to the north on and the town of Parshall. First it was cars, a continuous stream of them. Then it was trucks, lots of trucks. I recalled what my new friends in Park Rapids had told me the night before, and rode with some extra caution. 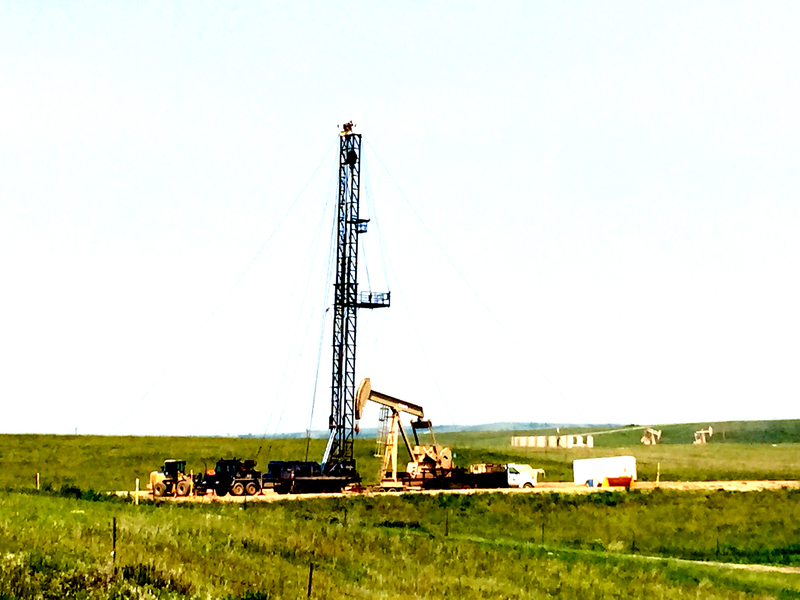 The North Dakota oil boom caused rapid growth between 2006 and 2012 over a wide swath between Parshall and Williston. New roads have been quickly built so trucks hauling large equipment, water (for fracking), and other materials can move quickly past the busy streets of New Town. It is fact, the drivers don’t care about stops signs or who they might run in to. Even on a Sunday vehicles are moving at a fast pace. Williston’s most famous son is former NBA player and Chicago Bulls coach Phil Jackson, who was a standout athlete at Williston High School. In 2010 the population census was 14,716. By 2013 the population had grown to 20,850. It looks like a boomtown. Even the hotel at which I stayed, though nice, looked like it had been put up in a hurry. I really like Montana. (Big shout out to Scott and Lois, our good friends who live about 5 hours south of my route.) But the first 440 of my 477 miles today were the toughest I’ve experienced. The countryside is beautiful. But it’s very flat through the horizon (giving it such a “big sky”), and the road painfully straight. The banner photo paints the picture, so to speak. Add 90F temperature and I now understand how it might be possible to fall asleep while riding. 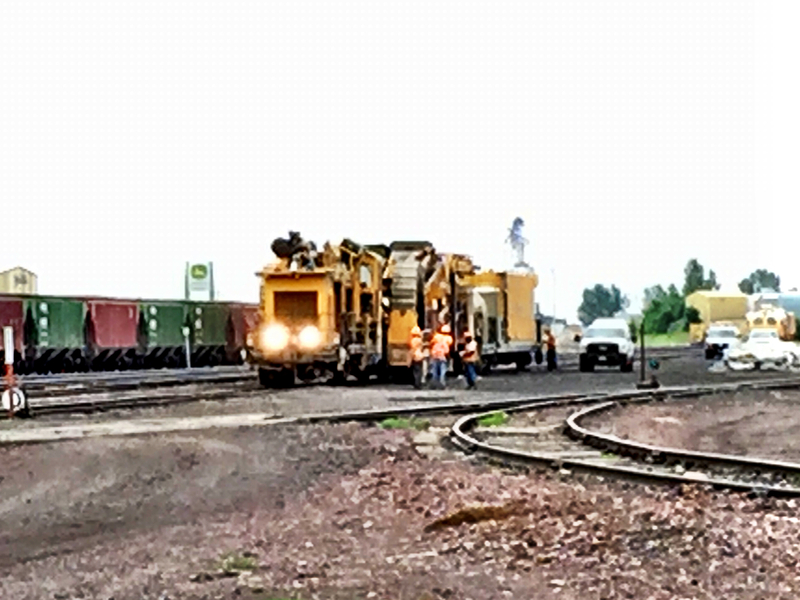 I passed an interesting train engine in Cut Bank, MT. It’s a repair/maintenance engine that travels on the track and compresses the track base. Our grandson, Benson, loves trains, so the picture is for him! Browning is home to the Blackfeet. 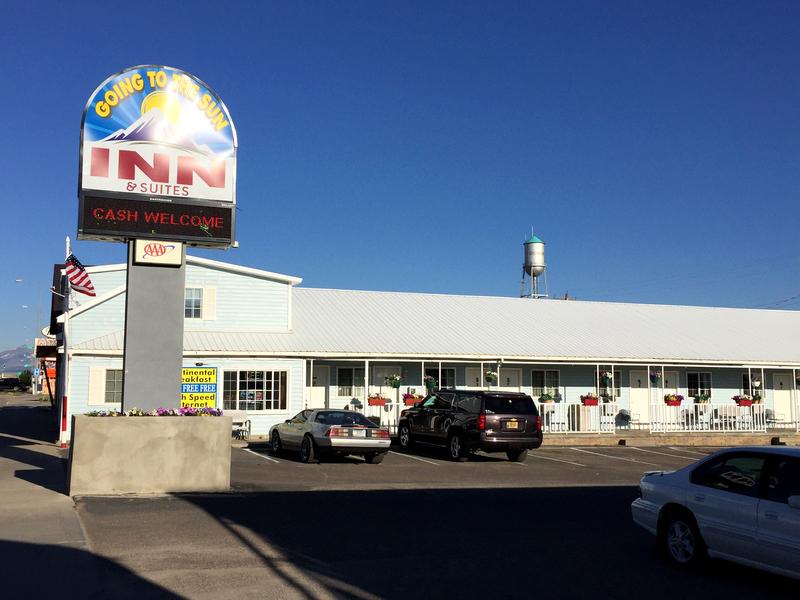 The Going-To-The-Sun Inn & Suites is my style for a road trip—simple, clean, nice people. The manager was giving his toddler a ride on a drive lawn mower when I rolled in. He and his wife were very nice people. 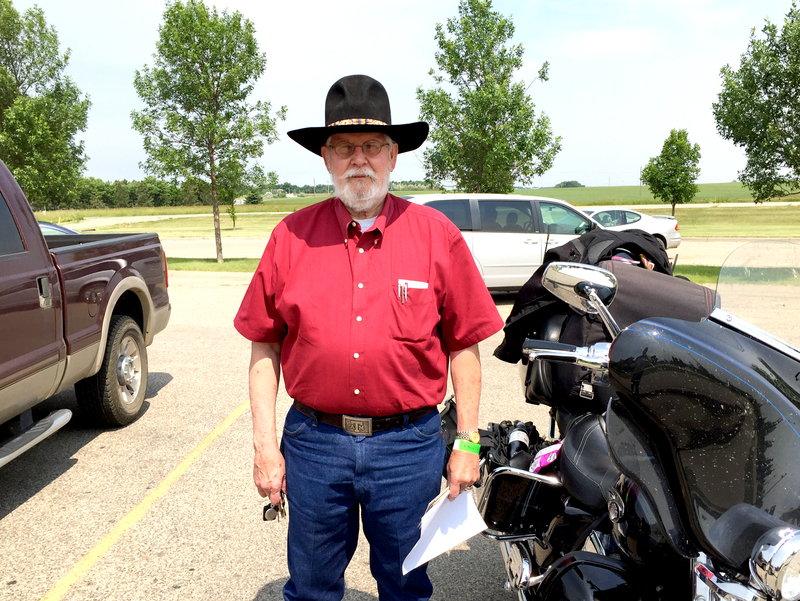 This entry was posted in Family & Friends, Harley Ride, Inspiration, Life, Road Trip and tagged Browning, Fort Mandan, Harley Ride, Road Trip, Williston by Gordon. Bookmark the permalink.